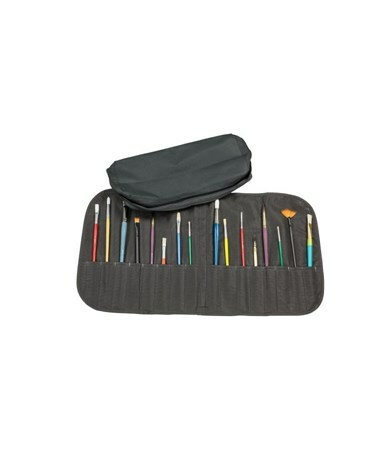 The Heritage Arts Deluxe Brush Case is an excellent brush organizer for all artists, draftsmen, and other professionals. 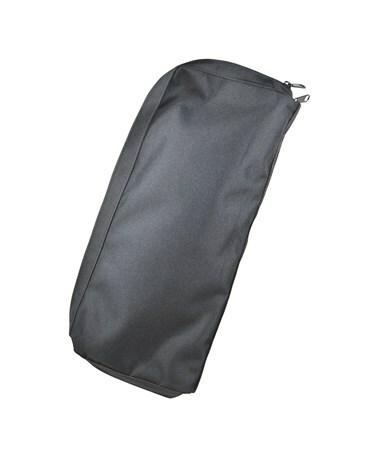 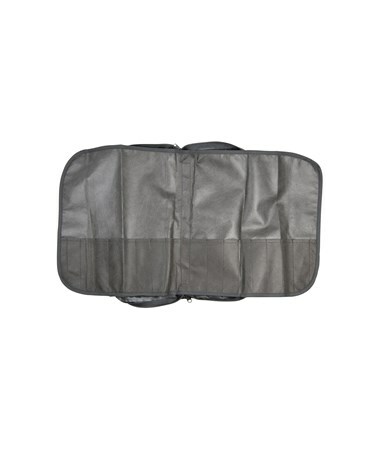 It is made of black nylon material with zippered closure to keep its contents safe and secure. 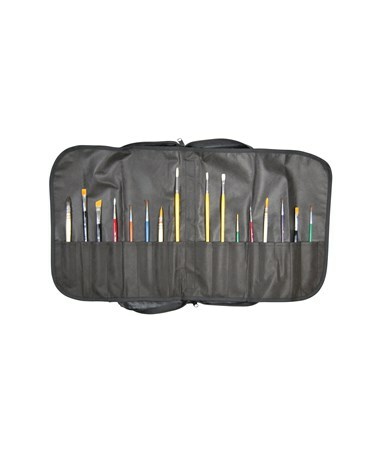 When fully opened, it has overall dimensions of 15"L x 15"W x 1/2"T.
The Heritage Arts Deluxe Brush Case features an extra detachable brush holder that opens to 14"L x 27"W and offers various slots for brushes of different sizes and functions. 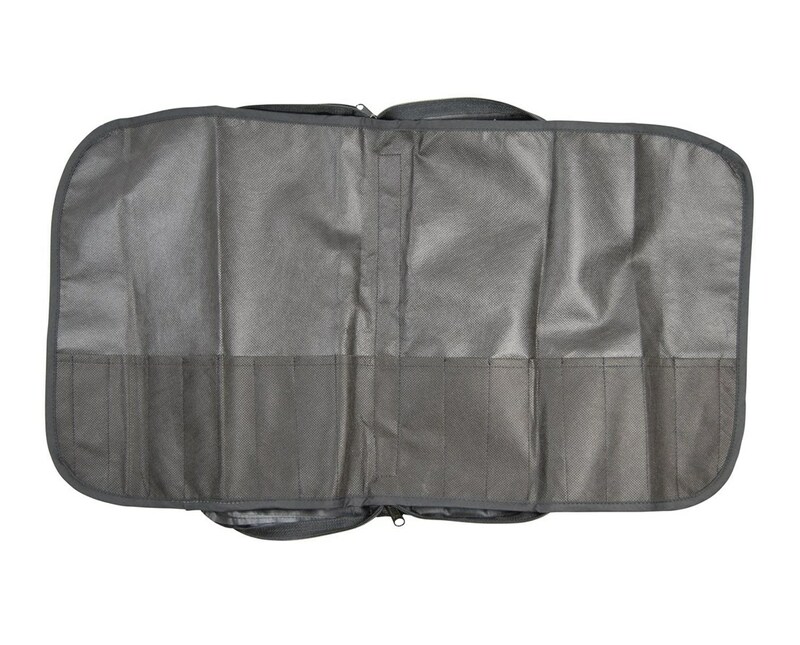 Ideal for convenient storage and easy transport, it can accommodate 16 up to 36 brushes.